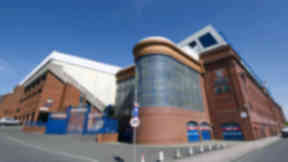 The Ibrox club face losing out on Scottish FA membership unless they accept a 12-month 'unlawful' embargo. Rangers' prospects of playing in Scottish football this season remain uncertain because of a stand-off between the Scottish FA and the club's owners. 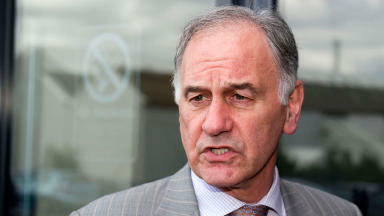 STV understands Sevco Scotland, led by Charles Green, is currently unwilling to accept the re-imposition of a 12-month signing embargo, originally placed upon the club by the governing body on May 11. 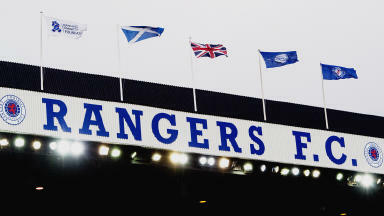 The Scottish FA has made clear it will only transfer Rangers' membership to the new company if it either agrees to the imposition of the registration ban or elects to again go before the governing body's appellate tribunal. Lord Glennie previously ruled in a hearing at a Court of Session that the Scottish FA had acted outwith its powers in imposing the ban on the Ibrox club. The court ordered the Scottish FA to reconvene its appellate tribunal to impose a different sanction from its rule book, but this is currently on hold until Sevco chief executive Mr Green either accepts the original punishment or demands an alternative by forcing the tribunal to sit again. 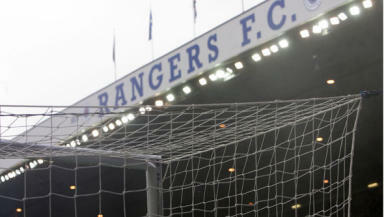 The two parties must reach an agreement before Rangers' season starts in 12 days time. Ally McCoist's side are due to play a Ramsdens Cup tie away to Brechin City on July 28. If the newco owners, who bought over Rangers' assets in a £5.5m deal, refuse the proposal, the governing body will be left one further option involving the transfer of membership. It could transfer the membership but allow its appellate tribunal to reconvene, leaving open the possibility of Rangers either being suspended from the game for an indefinite period or being thrown out of the game altogether. The sanctions available to the panel are unlikely to be palatable to the club, as they include the potential suspension or expulsion of the club from the Scottish game, as well as possible ejection from the Scottish Cup. Should Sevco refuse to meet the Scottish FA’s demands, it will be forced to apply for a completely new membership not tied to the former club. Should those conditions be declined by Mr Green's company, the Scottish FA will refuse to transfer the membership and, as the newco does not meet the necessary requirements, Rangers will not play professional football in Scotland for at least the next year. If the company led by Mr Green accepts the imposition of the signing ban, Rangers will take up a place as an associate member of the Scottish Football League and will play in the Third Division this season. Clubs must have membership of the national association to play in a league. The Scottish FA also want Mr Green to agree to pay all outstanding football debt as another condition of the membership being transferred. It is also insisting on the new company taking responsibility for any sanctions later imposed by the Scottish Premier League following its investigation into alleged non-contractual payments to players. 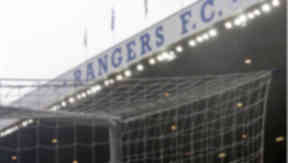 At a meeting on Monday, Sevco chief executive Mr Green told Ibrox employees there would be a "staffing review" following the decision of the Scottish Football League to place the club in the Third Division for the 2012/13 season. Speaking to Sky Sports News later on Monday, Mr Green said he would meet with the governing body for further talks on Tuesday and insisted a resolution had to be found urgently. 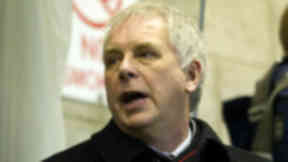 He said: "The key thing is the issues outstanding with the Scottish FA. Most of the items have been talked about for weeks and weeks, those being the signing embargo, fines that were put out there, and payments to football clubs in terms of transfers. "Where we sit at the moment is at we are in the SFL but we can't play a friendly. The first cup game is in under two weeks. "The difficulty we have is we have been working for weeks on these issues and there is a point where, unless I as CEO accept these sanctions, then we won't be granted permission to join the Scottish FA. "For us, it is a balance between what is fair and appropriate and what is required. "I addressed the staff today because there will be job losses and the implications are huge. We need to draw this matter to an end now and get the Scottish FA to agree membership for us, get on with our lives and rebuild. "There have been huge issues with getting us to the point we are at today. While we have this big hurdle to overcome, it is the last and final hurdle, in my mind, we need to resolve." In a statement, the Scottish FA said: "Scottish football’s recovery process begins today. The Board of the Scottish FA endorses the decisions made by the respective members of the Scottish Premier League and Scottish Football League to accommodate Rangers FC Newco into the Irn Bru Division Three. "The Scottish FA Board are also wholly committed to Stewart Regan driving this process forward. Since being appointed Chief Executive, he has led us through an unprecedented modernisation of the Scottish FA. "He has our full support to continue the excellent work undertaken so far in accomplishing the key objectives of our strategic plan, Scotland United: A 2020 Vision. This will remain the Board’s priority as we move forward. "The new season begins in less than two weeks and it is incumbent on the Scottish FA to conclude all outstanding issues relating to Rangers FC. To that end, we aim to meet with the club this week with the intention of achieving a satisfactory outcome for all parties so that we can focus on football in time for the new campaign."